Yesterday I rolled out my Eastern Conference picks. I see room for a number of upsets in the first round of the Western Conference playoffs. In fact, there is a good chance that seeds five through eight advance if the chips fall properly. I really like both of these teams, which will make this a difficult series to watch. I think the ultimate edge in this series goes to Vancouver because of their scoring depth. 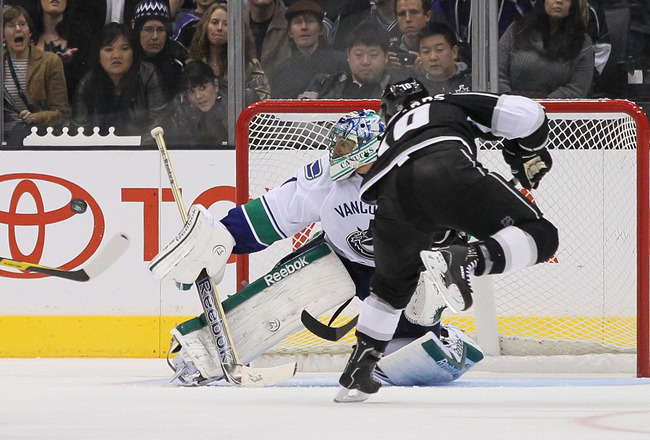 The Kings have a lot of talent up front, but can’t seem to translate that to goals. I do think the Kings have the edge in net, which may be all that matters. Why Vancouver will win: Between the Sedins (if both are healthy), Ryan Kesler, David Booth and the numerous other faces that played to game seven last year, the Canucks have a playoff worthy roster. The Canucks also have a bit of a goaltending controversy. I’m interested to see how much rope is given to Roberto Luongo. Why Los Angeles will win: Jonathon Quick probably could have won 50 games if his team could score goals. In a tight-checking playoff series, he could be deadly. I think this upset is more likely than any others that may be out there. I actually like the Sharks in this series. Something tells me the Blues were built for the regular season, not the playoffs. They have great goaltending and play sound defense, but I wonder if this is truly a playoff teams. To be honest, this is another very possible upset. Why St. Louis will win: Their defensive approach is phenomenal and their goaltenders are both strong. However, having two great goalies matters not when only one can play at a time. The Blues lack depth but are incredibly responsible in every facet of the game. Why San Jose will win: They have so many weapons compared to their opponents. San Jose has had plenty of struggles this season, but have a lot of different players who can score a lot of different ways. I think this gives them an edge over the balanced roster the Blues have. The Blackhawks had a roller coaster year and are without their best player, Jonathon Towes. They also have suspect goaltending, which could really hurt them in this series. The Coyotes are a defense-first team and proved that Dave Tippett’s system is genius. I just wonder where their scoring will come from. Why the Coyotes will win: Dave Tippett has made Mike Smith a scary good goalie. He has also developed a very balanced scoring attack. There are plenty of players on the Coyotes roster who can score goals. I am curious to see if they can get one line going on a consistent basis. Regardless, the Blackhawks are well behind in the goaltending department and that could kill them. Why the Blackhawks will win: I think Chicago is a more talented team than Phoenix when you look top-to-bottom. However, their goaltending could cook them in this series and that is a bad situation to be in. I don’t know if Corey Crawford can get the job done, but I know they shouldn’t struggle offensively. The Preds have a real tough draw here in the first round. I think they have the talent and the right team for a deep run, they’re just very unlucky. The Red Wings are a proven playoff team and are always good for at least on series win. The Predators need to get rolling early or else they could be in trouble. Home ice will be the key to this series. Why Nashville will win: The Predators are all in this season. They made a ton of moves at the deadline to add missing pieces. I wonder if they have too many Europeans up front and if those players will be able to play big for this team. I have little doubt of their talents on the back end, it is just their offense that concerns me. Why Detroit will win: The Red Wings are just good. They have a sterling home record despite struggling on the road. 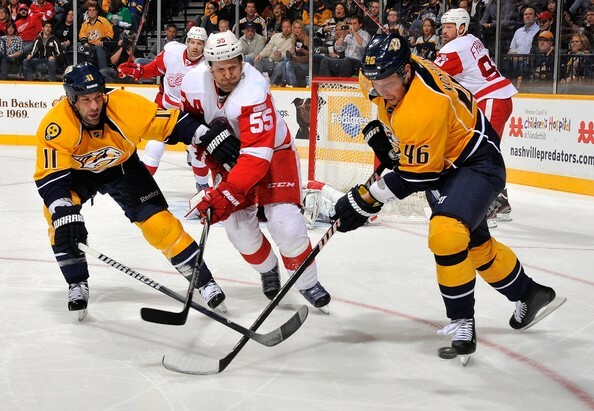 If the Wings can get a win in Nashville, I think the Preds will be hard pressed to come back in this series. For me the goaltending matchup may be the key matchup for the series.